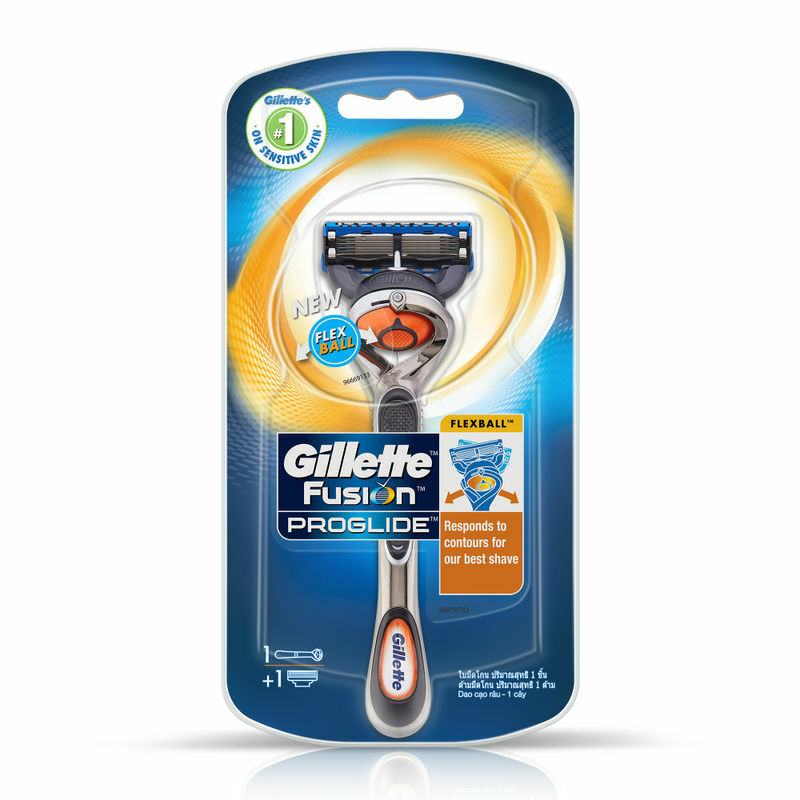 Introducing Gillette Fusion ProGlide with FlexBall Technology, the men’s razor that responds to contours for Gillette’s best shave. And our best blades are now 2X preferred when used with the Fusion ProGlide handle with FlexBall Technology (overall preference vs. former ProGlide, among ProGlide users). Reengineered Low Cutting Force Blades feature thinner, finer edges (first 4 blades vs. Fusion) with advanced low-resistance coating to cut effortlessly through hair with less tug and pull than Fusion. A Blade Stabilizer maintains optimal blade spacing for comfort, while allowing the blades to respond to the contours of a man’s face. Plus, the Streamlined Comfort Guard channels excess shaving cream to produce optimal blade contact, stretching the skin for a close, comfortable shave. The razor’s Enhanced Lubrastrip (vs. Fusion) is infused with mineral oil and lubricating polymers that allow the Gillette Fusion ProGlide to move smoothly over skin, even on repeat strokes. Explore the entire range of Razors & Cartridges available on Nykaa. 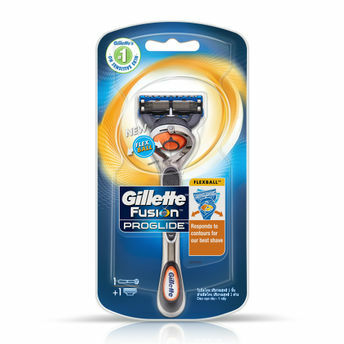 Shop more Gillette products here.You can browse through the complete world of Gillette Razors & Cartridges .